Home News Blog FAA Drone Response Deadline 15/04/2019 have your say. FAA Drone Response Deadline 15/04/2019 have your say. The FAA have issued notice of proposed rule making. The FAA proposes to amend its rules applicable to the operation of small unmanned aircraft systems (UAS). But the deadline for responses to the planned changes is 15/04/2019… Monday, so time is short. DJI have been one of the only UAS drone manufacturers to forward an opinion and offer USA drone flyers guidance on submitting a response. Read the DJI news release here. Where are the other Manufacturers? 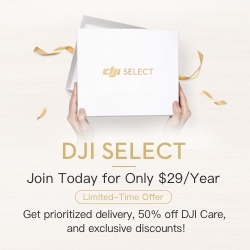 What ever the motivation, DJI should take a bow for actively engaging with regulators, informing and trying to mobilise its customer base top be heard. What other manufacturers take the initiative? If you fly Yuneec maybe get in contact with them and ask what they are doing? The silence is deafening. It can be easy to be drawn into the headline changes. The response from DJI, although admirable & helpful to drone flyers. It is not the complete answer. Remember their comments are from the manufactures stand point, not the drone flyers. Rules were changed by the FAA in February on the way drone flyers had to mark-up their craft. A similar inquiry in the UK has just closed its request for public responses. 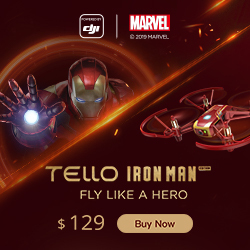 15/4/2019, aerial, deadline, dji, Drone, Drones, enforcement, FAA, have your say, Ikopta, Law, news, night operations, over people, regulation, response, UAS, UAV, Unmanned. Bookmark.